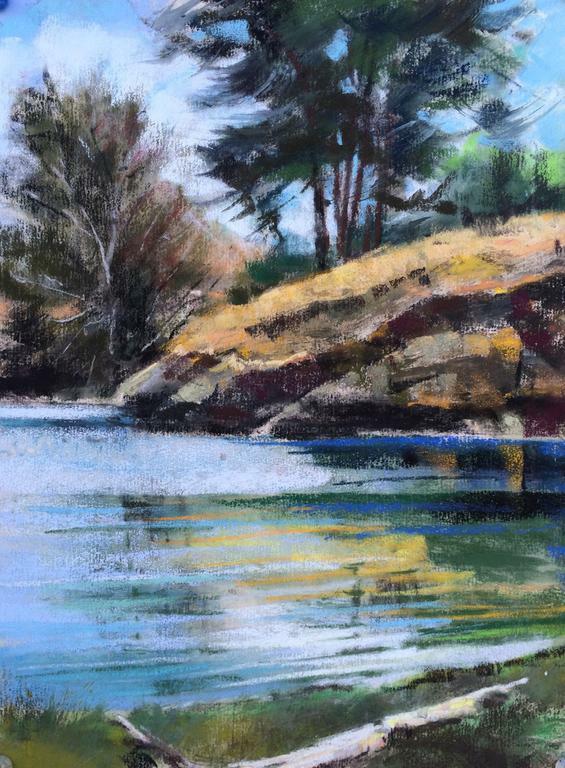 I am very excited to be featured artist at Scott Milo Gallery in Anacortes, WA for the month of February and just delivered 15 new paintings to the gallery today for the opening reception this Friday, February 2 from 6-9 p.m.
Fourteen of these are plein air landscapes in pastel, from Cuba, Croatia, Belgium, Idaho (river paintings) and of course the San Juan Islands and the Skagit Valley. 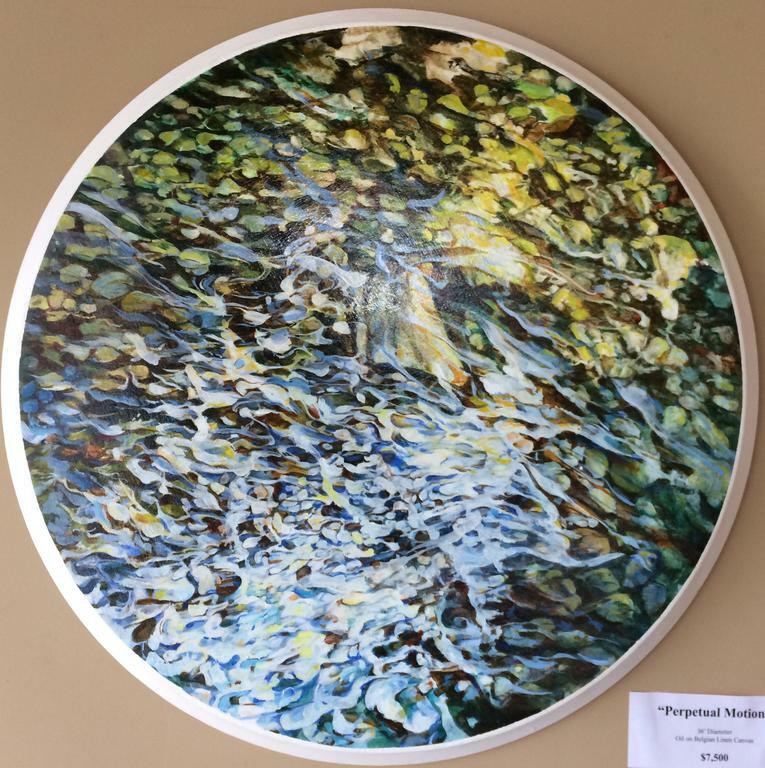 One of my new pieces is a 37” diameter canvas (2” depth) that looks as much like a wall sculpture as a painting. It can be easily rotated 360 degrees to change orientation – there’ s no reference to horizontal, like looking down into a watery rhythm of shape, form and color. It is titled “Perpetual Motion”, oil paint on linen canvas and priced at $7000. I am working on 3 more of these canvases at present, both 37” and 48” diameters) which are Belgian Linen stretched on custom laminated cabinet grade plywood armatures that are @ 2” in depth and that form a perfect circular “frame” without using molding. They are lightweight and incredibly strong construction to be able to hang on a traditional gallery picture hanger - the kind you can buy at any hardware store and easily mount into a sheet rock or plaster wall. I did a series of circular canvases back in my Graduate School Days at WSU and decided to re-visit the concept with this new series. I now have a better construction method (a cabinet maker friend who can cut perfect circles) and better materials to seal, paint and varnish the finished piece (Gamblin products). 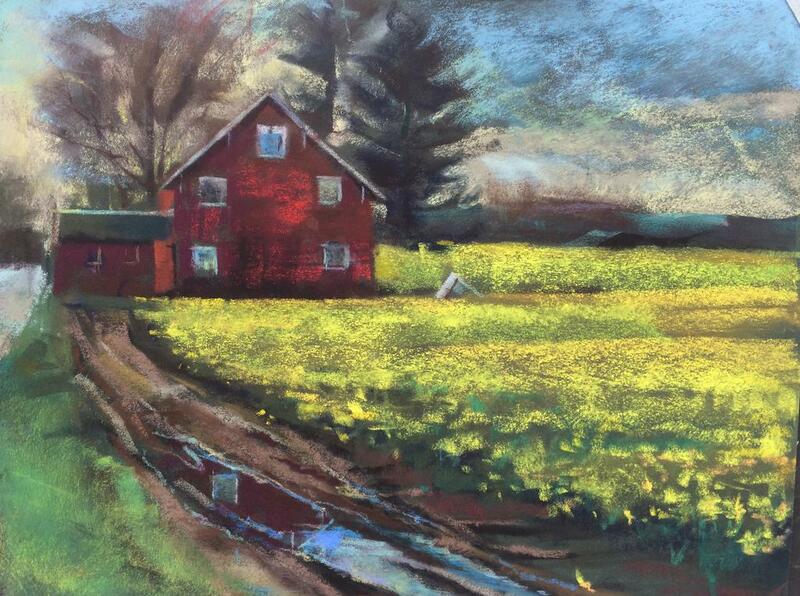 I am limiting my workshop teaching to 3 total this year, to give more time to my painting and gallery activities. The September 2018 Croatia Art and Travel Experience is a GO!! I am excited and honored to be invited as a featured artist at the Town of La Conner, Washington's 33rd annual "ARTS ALIVE" Festival of Visual, Literary, Music & Culinary Arts this coming weekend, November 3, 4 &-5. I will have 16 original paintings in a special exhibit at Maple Hall, 104 Commercial Street, La Conner, with an opening artists reception Friday, November 3, from 5-9. The opening reception will feature live music, wine and hors d'oeuvres and is open to the public. Don't miss my two live painting demos during the 3 day festivities. The first is from 1-3 p.m. at Maple Hall on Saturday, Nov. 4 and the second is from 10-12 on Sunday. 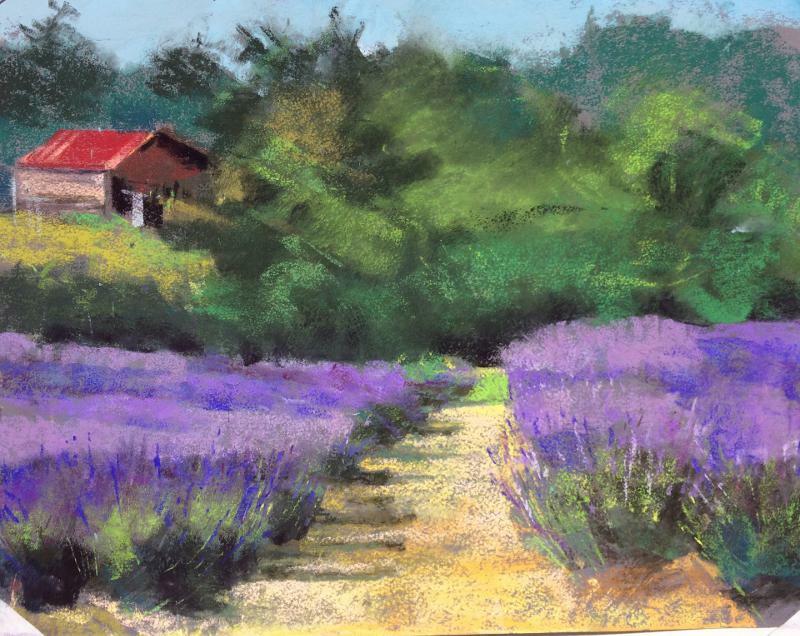 I will be doing simulated, narrated "plein air" pastel paintings with subjects from both Cuba and Croatia, while working from reference sketches, photos (and my memory) of recent painting trips to both countries. My demos are engaging, fast-paced and spiked with a little art history . . . always give the audience a sense of "being there" as I complete a painting from start-to-finish, in less than two hours. These are two of the paintings I'll have on display - "Valley Layers" and Skagit Spring", both done on-site near La Conner in the past two years. Hope to see you there! 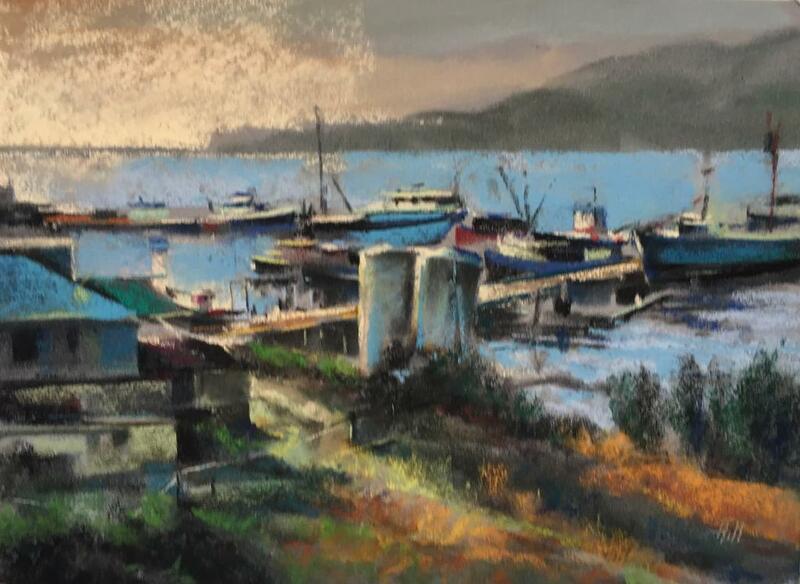 This painting, "November Sunrise, Flower Island", just went home with Leslie, from Dana Point, California, the first original sold in our annual "Preview Week Sale" at Windswept Fine Art Gallery. 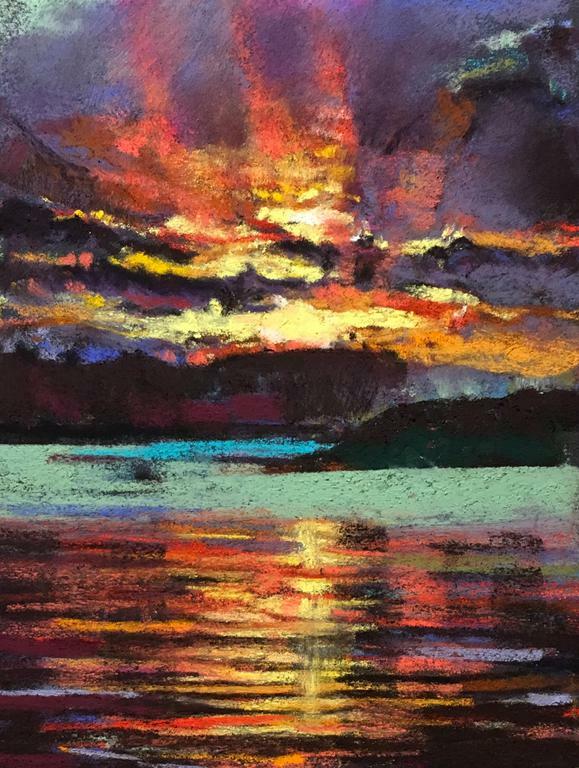 Come see over 200 originals from 11 European Countries, Cuba, North America and of course, the San Juan Islands and enjoy a 15% discount through Friday, 9/1 on any gallery purchase. Free insured shipping on any purchase anywhere in the continental U.S! 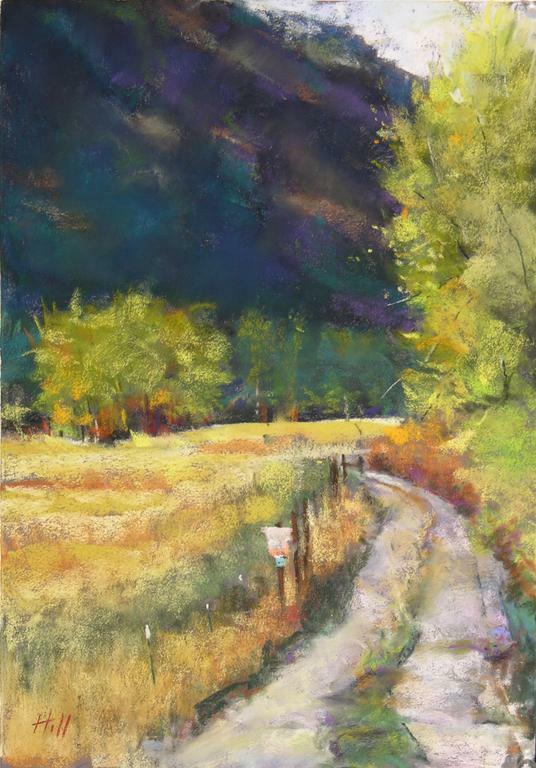 "93% Solar Eclipse, Thatcher Pass" is our Collector's Choice Painting done completely on-site during the 8/21 eclipse right in front of the house. I've never had the opportunity to paint one of these and was happy to catch the ethereal light and colors made out there, somewhere between the sun and the moon! 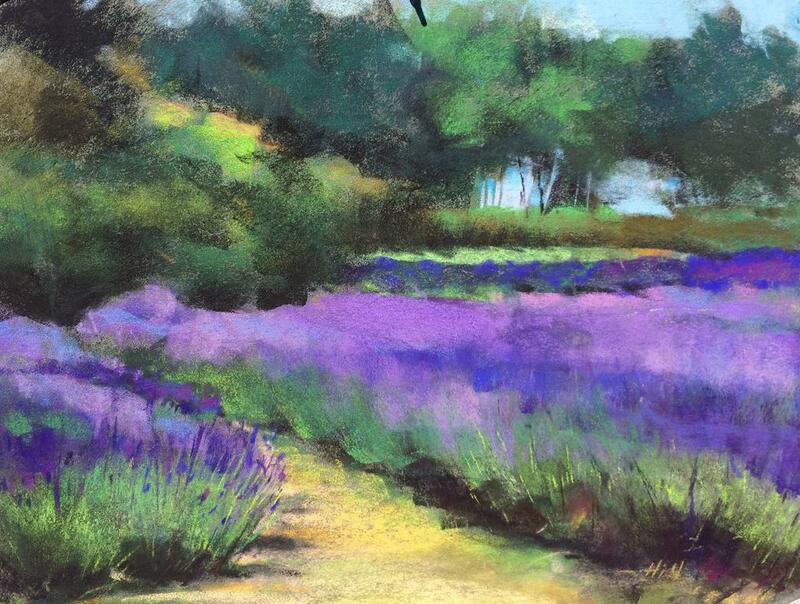 Two of my plein air paintings done at Pelindaba Lavender Farm this week, in full sun and full bloom...summer is definitely here! 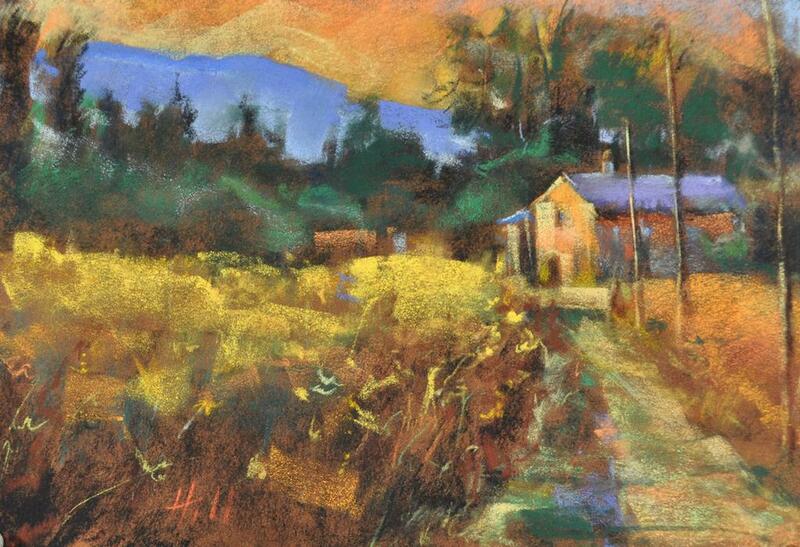 It’s good practice for painting around the Columbia River Gorge next week where it’s just as sunny and even hotter. 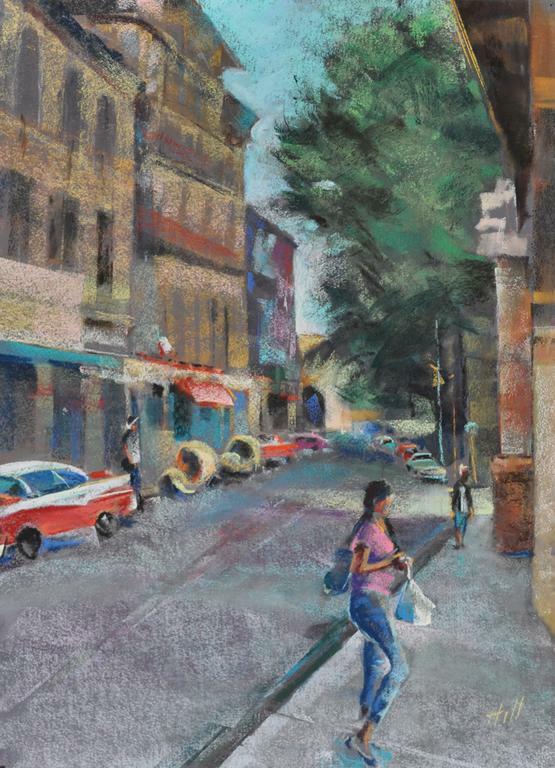 I am excited to be among the 40 artists from around the U.S. invited to the 13TH Annual Pacific Northwest Plein Air Event, July 31-August 4, with an opening public reception and exhibit, Friday August 4, 5-8 p.m. at the beautiful Maryhill Mueseum near Goldendale, Wa. 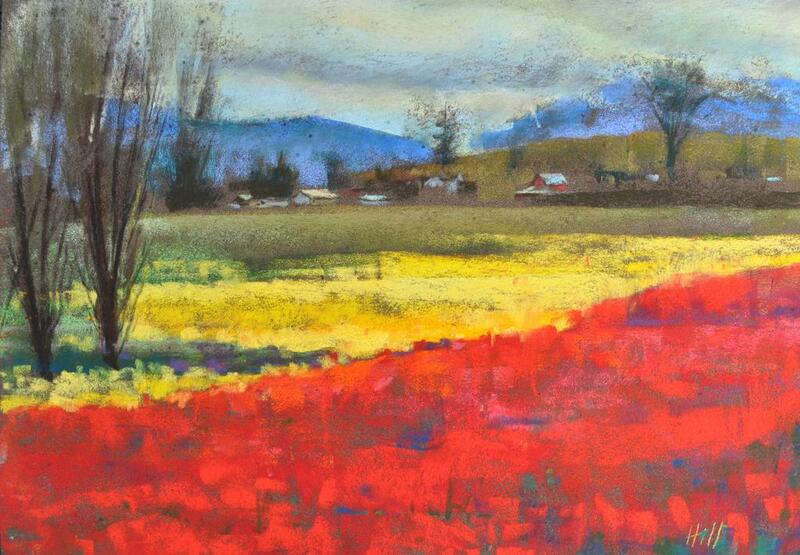 I plan to exhibit several paintings from the rivers, plateaus and peaks of the Columbia River Gorge for the reception. Hope to see you there! 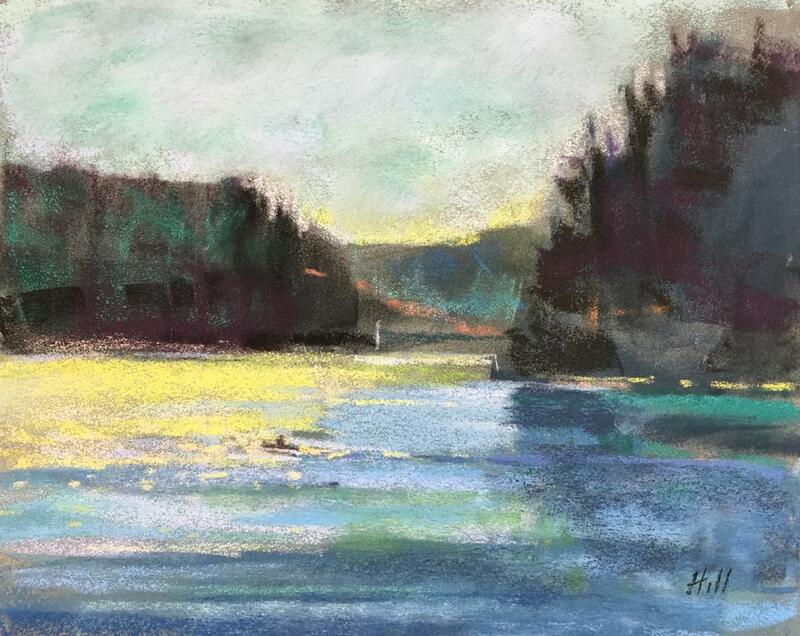 I was so pleased to receive this ad, featuring my original pastel, from Melanie Thompson, who is an incredible plein air painter, (from Kennewick, Washington) for the Plein Air Painters of Washington "Little Gems" show opening this Friday, June 2nd in Anacortes. 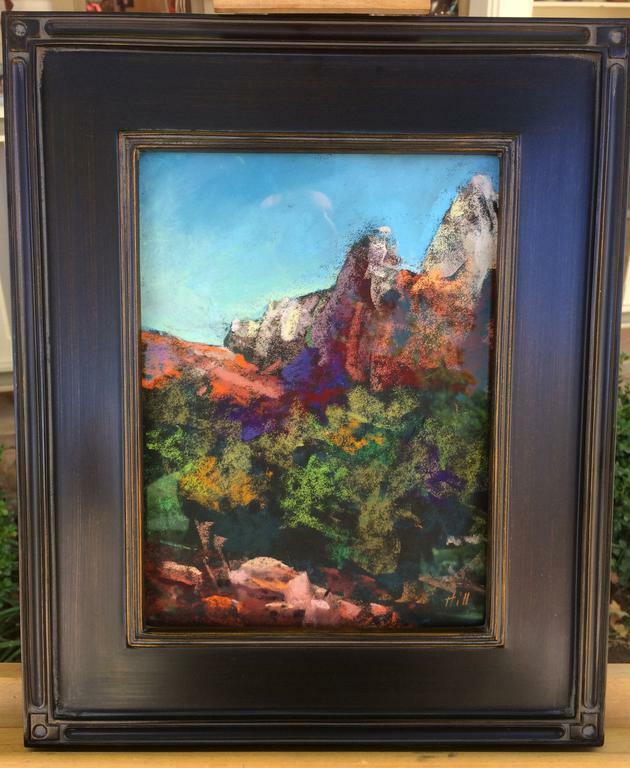 Titled "Afternoon Delight", it is available for purchase through the gallery at $1000, beautifully framed and ready for installation in someone's permanent art collection. Judy and I look forward to seeing some of you at the opening next Friday! Please come to the opening reception of my solo exhibit of my latest works from around the world, Friday, February 3, from 5:30-7:00 p.m. at The Gathering Place, in the Lopez Island Hamlet. 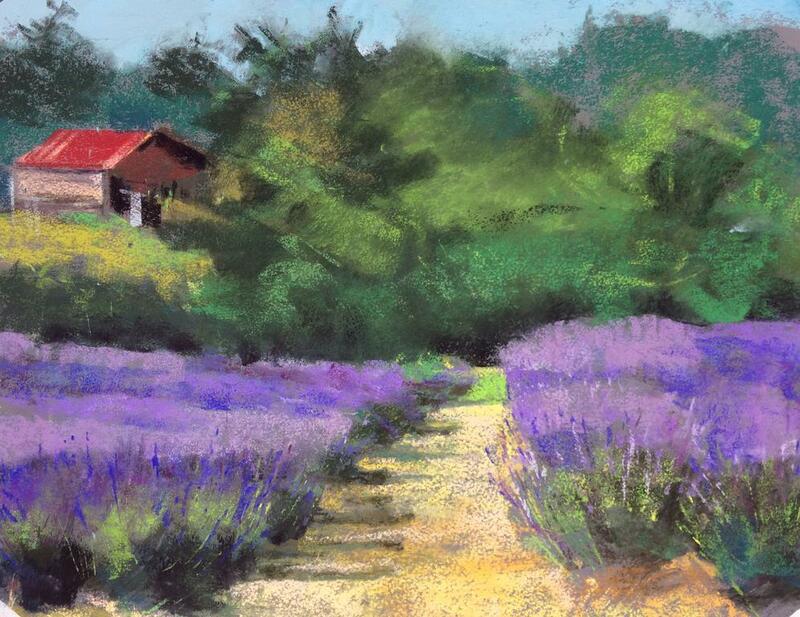 I will have 40 plein air paintings done over the past year from Cuba, Europe, the U.S., and the San Juan Islands. 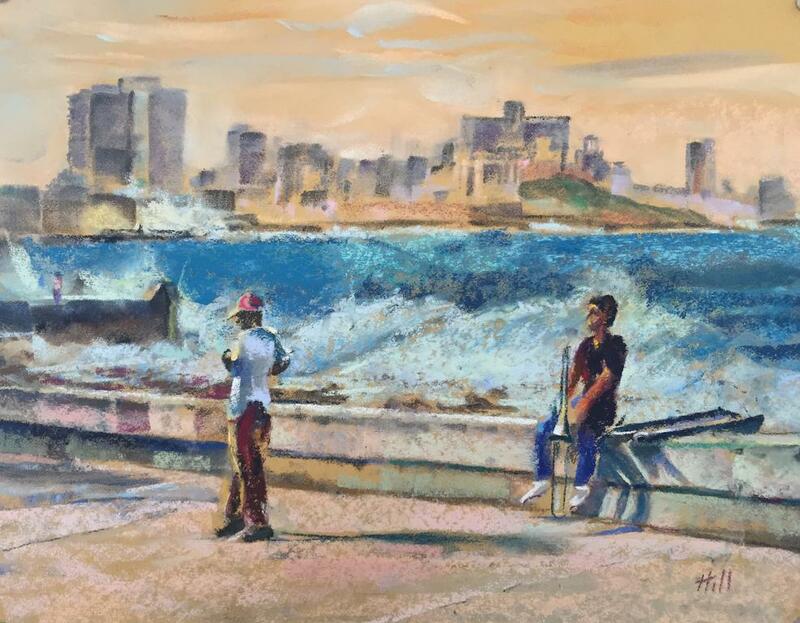 I was invited to go to Cuba with 78 other artists from the U.S., one year ago to paint and record our impressions of a country locked in time for 60 years and will be giving a special “Paint Cuba” slide show presentation from that historic trip, during the reception. There will be a 10% Discount on all sales during the reception, February 3rd only. The exhibit hangs through April 5th. Hope to see you there! 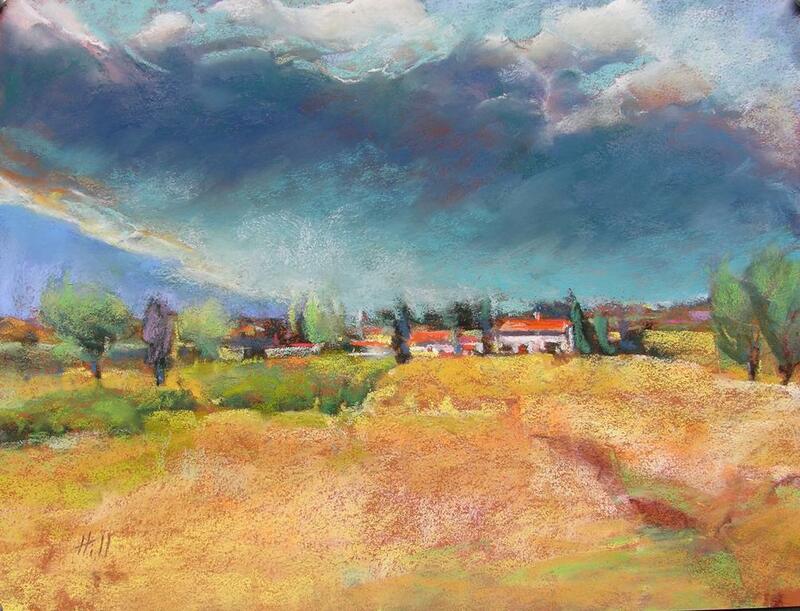 Come paint, sketch and tour the Italian Countryside with me (May 19-26) and Winslow Art Centers acclaimed "Arte Umbria" plein air painting adventures, near Orvietto, Italy. This is a limited enrollment workshop (14 maximum) that already has sign-ups for an unforgettable cultural art adventure, which will also include hands-on Italian Cooking classes with the chef/owners of a 300 acre farm and villa, just a few kilometers from Orvietto, where we will all live for 7 nights and 8 days! The farm has olive oil and vineyards, plus fields with sheep and spectacular views of the Italian countryside in all directions. 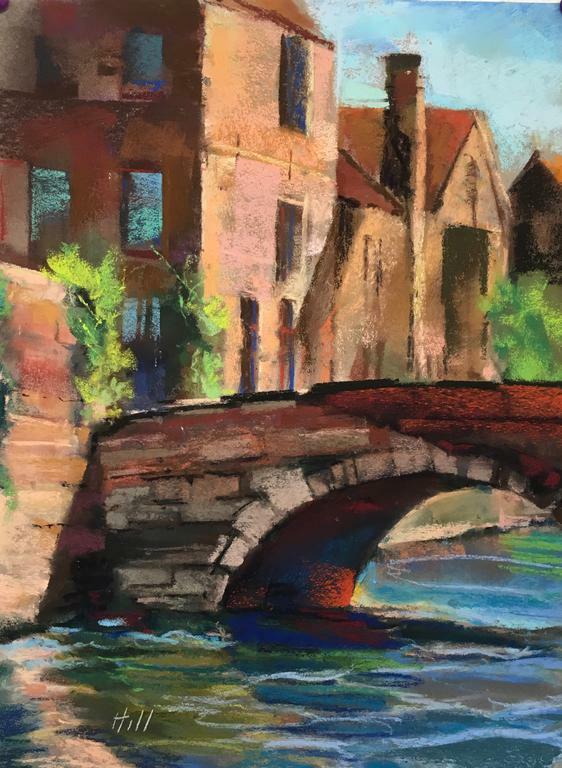 You will stay in old stone buildings remodeled to modern standards for your complete comfort and privacy, plus hands-on art instruction daily, including live demos at all sites with me. www.winslowartcenter.com for full details, prices, accommodations, travel itinerary and to register - or call Martha Jordan, owner of Winslow Art center, 206-715-6663 to learn more about this fabulous trip to Italy! Our trip starts and ends in Rome, just 1 1/2 hours south of the Provence of Terni, and also includes our ground transportation from Rome and back, as well as daily transport to the villages and painting sites. Fabulous daily meals, wines, all accommodations and small private tours are all in the package! A $200 early sign-up discount off the art instruction fee is offered for registration before January 31st! Non-painter spouses/friends welcome at a reduced rate, on limited space available basis. View the list of workshops and schedule of my other workshops this coming year. May peace prevail and Happy New Year to all of my blog subscribers. I do hope to see you all in 2017! These are two of my old favorite plein air paintings that sold at the live auction in "The Oldfield Show", last weekend at the Expo Hall of the Washington State Fairgrounds in Puyallup, Washington, October 7-9. 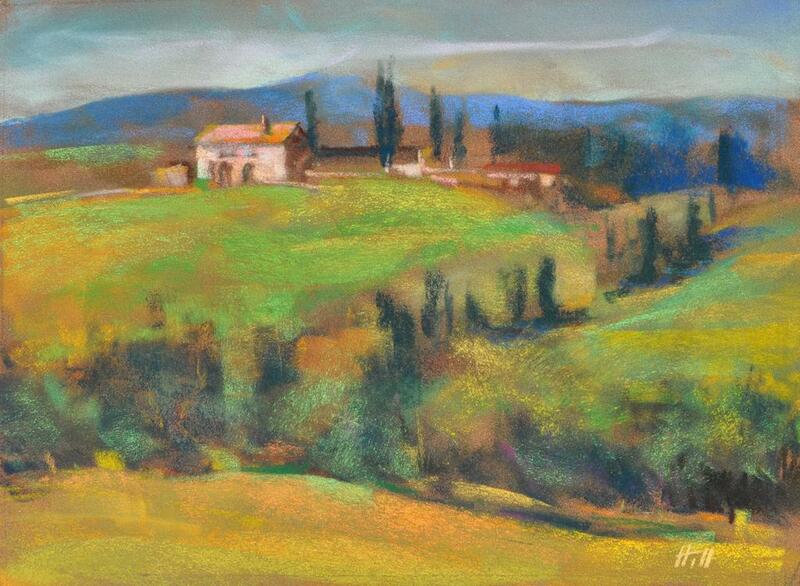 One was done in Tuscany (that storm almost got me!) and the other at Mazama Valley, in Washington State, both from 2008. 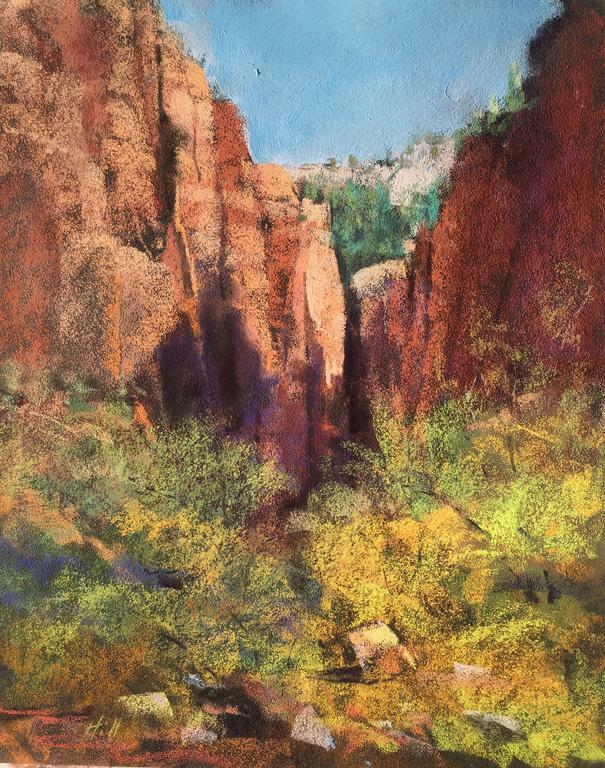 I am indebted to Joella Oldfield for my first invitation to exhibit and sell at this prestigious event, while I was off gallivanting and painting in Moab, Arches and Zion National Parks the same week. 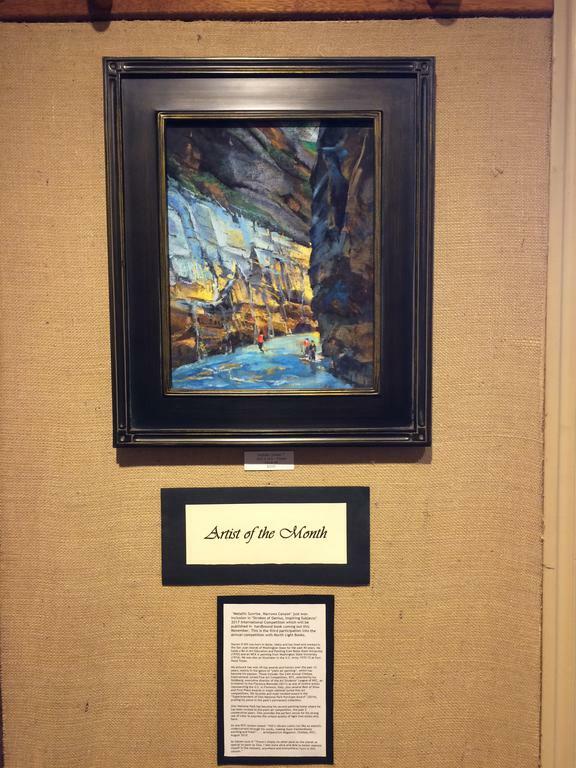 Also, many thanks to artist, Mary Wolfe, who set-up and watched over my exhibit booth during my absence! I will definitely be going back again in October, 2017, to hang more work, do live painting demos and participate in the quick draw events in their 20,000 square foot space, with over 70 artists from around the U.S.
By the way, Fred Oldfield, namesake for this show and western artist emeritus, is 98 ½ years into his storied and successful art career that started at his birth place in Weiser, Idaho (my home state) to Washington State . . . and he is still painting! I know a handful of artists out west, who have travelled by horse-back or Model - T Fords in their own lifetimes, but precious few who have ridden in covered wagons, as Mr. Oldfield has done.